It’s a proper sticky-out wobbler. It won’t budge, even though the new tooth is busy descending into place. 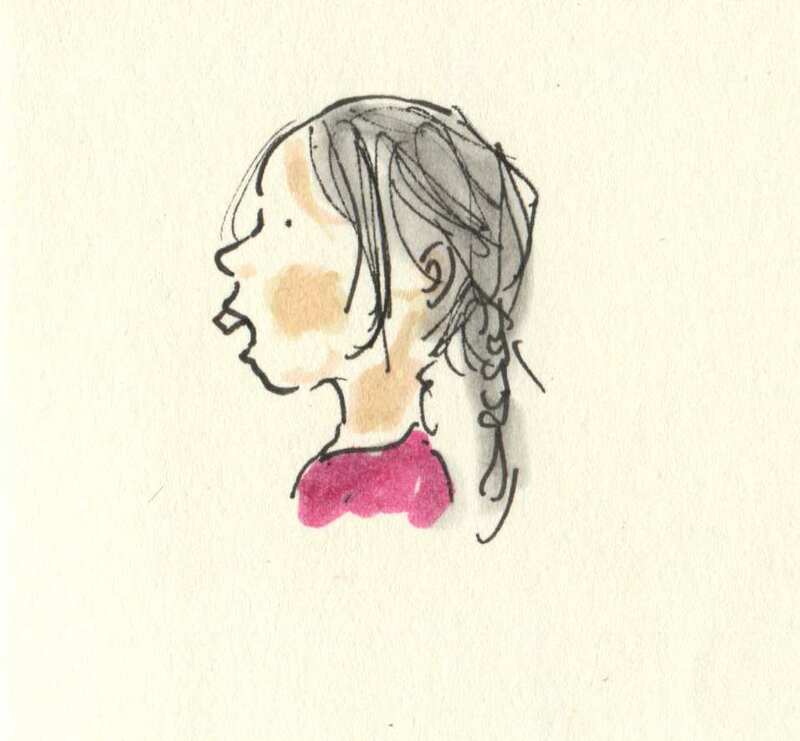 Posted on May 13, 2015, in Uncategorized and tagged Children, Doodlemum, Humour, Life, Pen and Ink, Sketchbook, Teeth. Bookmark the permalink. 12 Comments. My youngest daughter had a Nanny McPhee tooth just like it. For months! As soon as it fell out she had a fully restored perfectly toothy smile again. Well, until the next one fell out that is. Now she’s developing the bunny look. My 8 year old had that happen and ended up with a shark tooth for a while and now that tooth is in a hillbilly position. The dentist is keeping an eye on it but suspects there’s orthodontistry in his future. I’m assuming she’s had a nice crispy, crunchy apple or carrot? I think the Tooth Fairy ought to start saving up! If it’s not out soon, see your dentist. Poor Evie must be very uncomfortable. She has an appointment booked for next Friday if it hasn’t come out. Love all of your illustrated posts! They are unique, yet simple. Awesome! How’s Evie’s toothy-peg…has it finally come out , or did the dentist do it for her? I hope the Tooth fairy hasn’t been cleaned out!